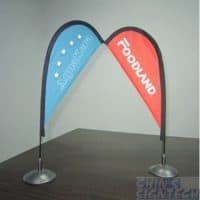 These Mini Teardrop Banner Table display for branding are digitally dye sublimation printed in full color, resulting in excellent color matching and deep, rich color contrasts. 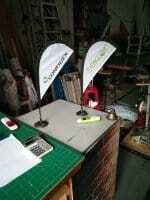 The mini Mini Teardrop banners are lightweight, easy to travel with and all only take seconds to put together. All come with flexible, carbonized fiber poles. 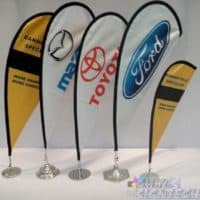 Perfect for personal or business use, such as conference room, point of purchase display, restaurant table, product display, at trade-shows and events or even put it on desk or table at home.